Taxes always seem to sneak up on us. 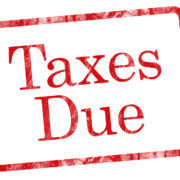 Before you miss a deadline, put these key tax dates in your 2016/2017 calendar. If you need help meeting these deadlines or need any tax planning advice, feel free to reach out to us at: accounting@squarerootfinancial.com. Note: in 2017 the traditional due dates for partnerships and C Corporations changed. See below. * Also, please note tax deadlines never fall on a federal holiday or a weekend. If the normal due date is on one of those dates then the actual due date will be the following business day. Happy Tax Planning!